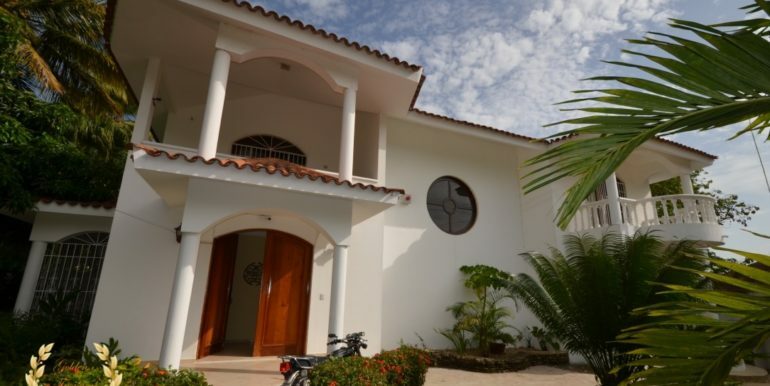 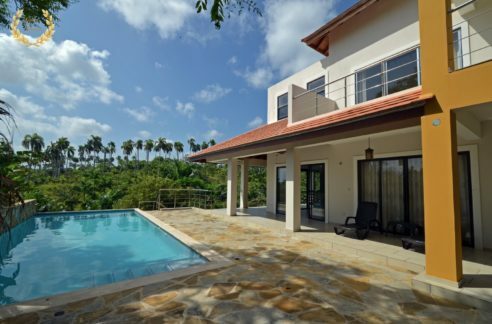 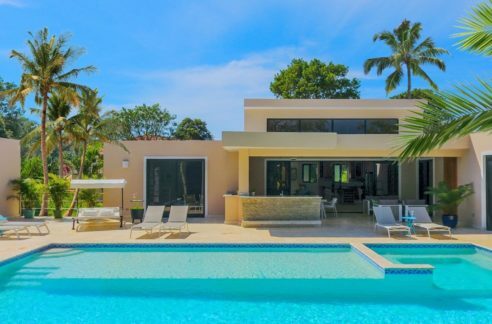 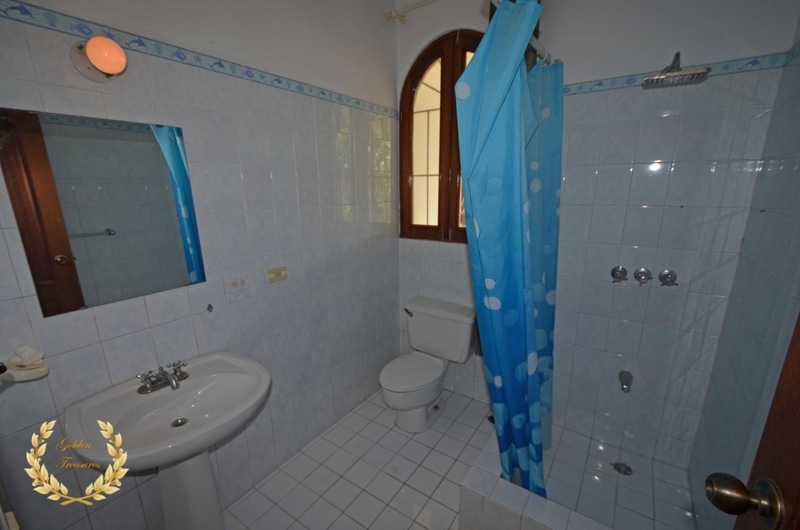 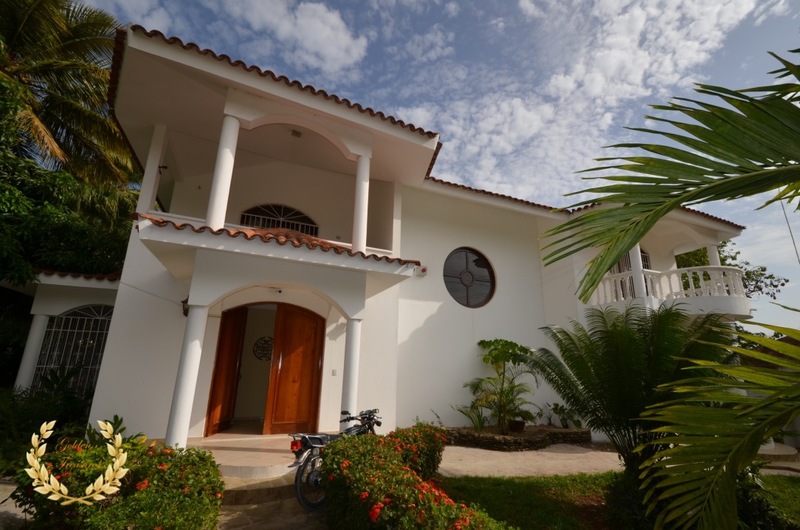 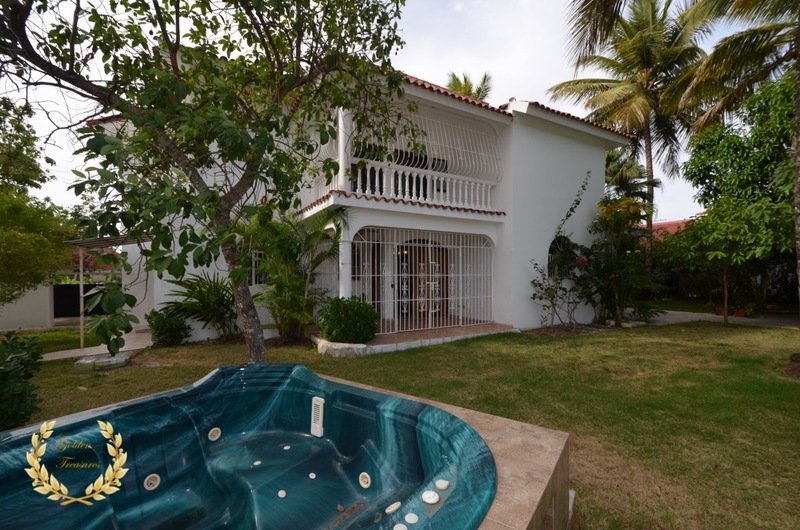 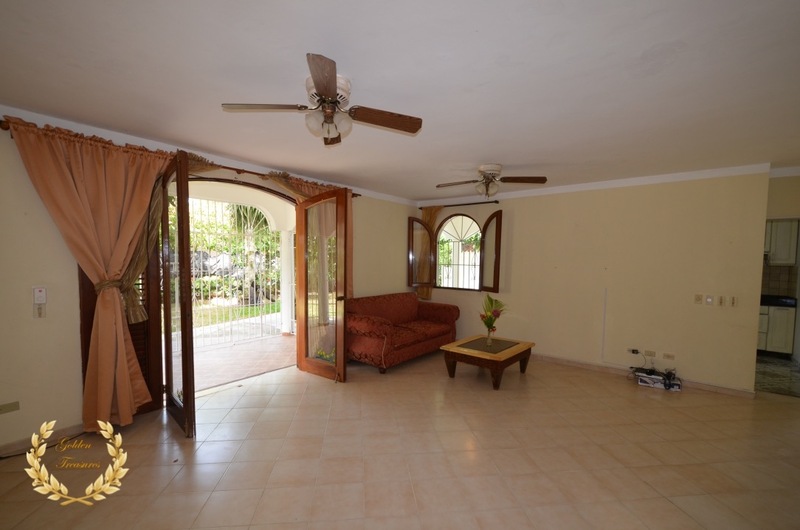 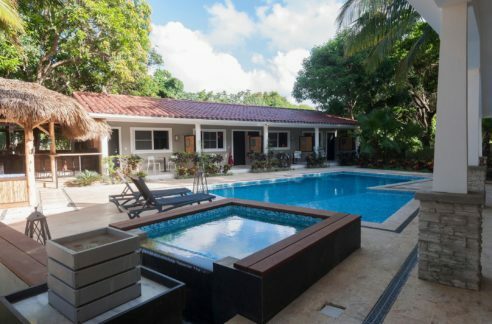 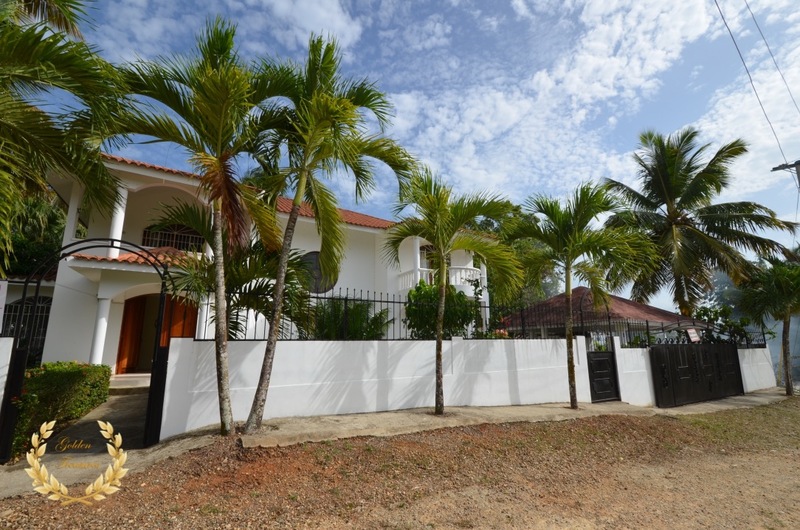 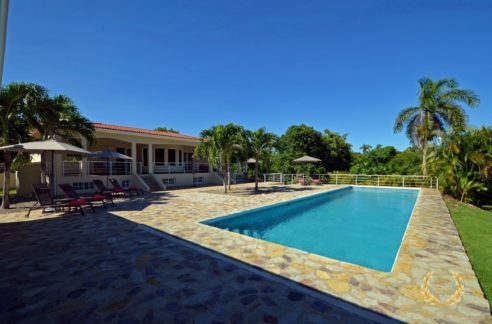 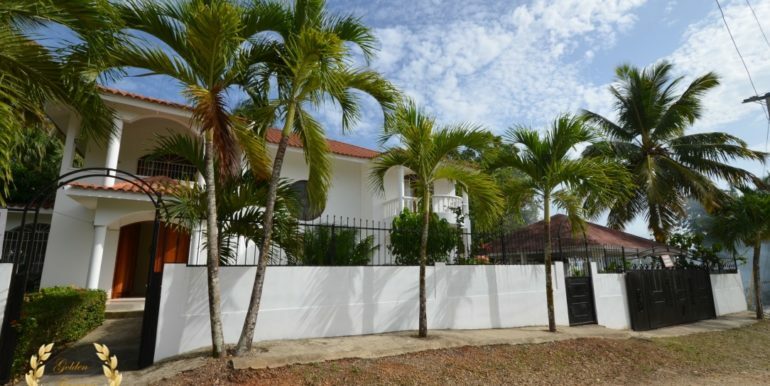 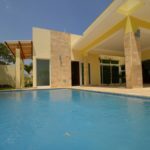 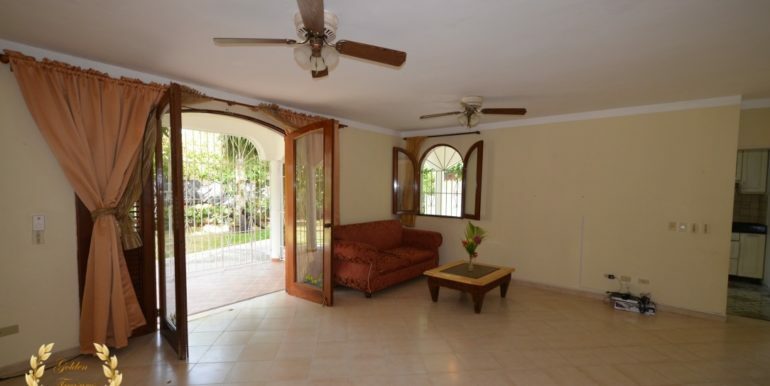 This elegant house for sale sits in a quiet area of El Batey, Sosua within walking distance to supermarkets and stores. 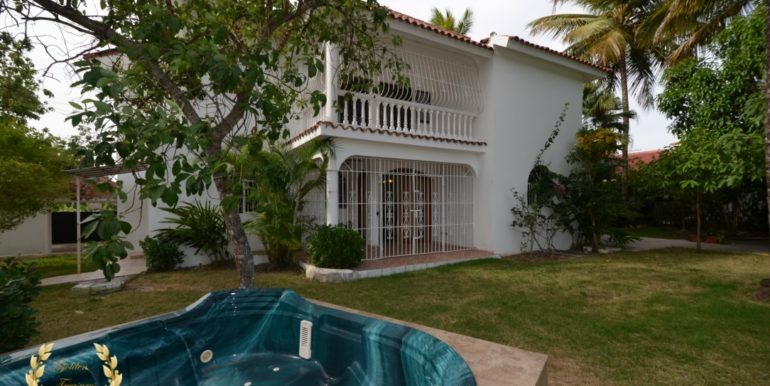 It features 4 bedrooms, 3 bathrooms built on 2 stories with 6 balconies. 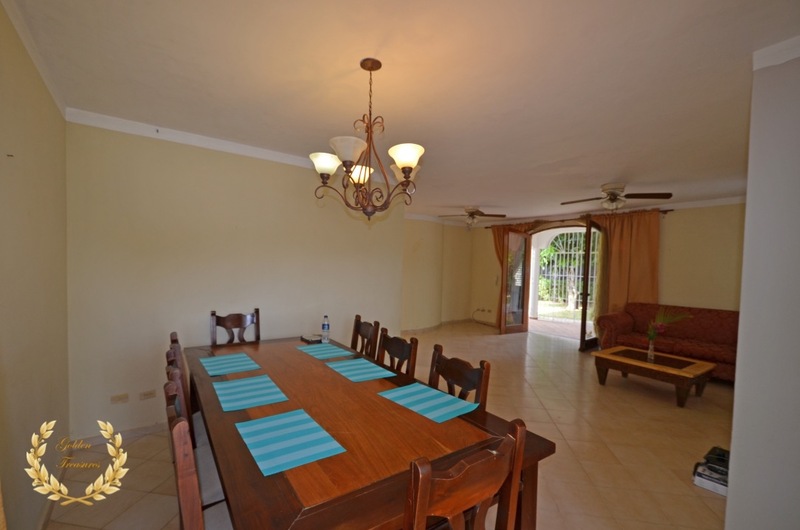 The first floor has a spacious living room with access to a garden area that includes a Jacuzzi, garden and a porch. 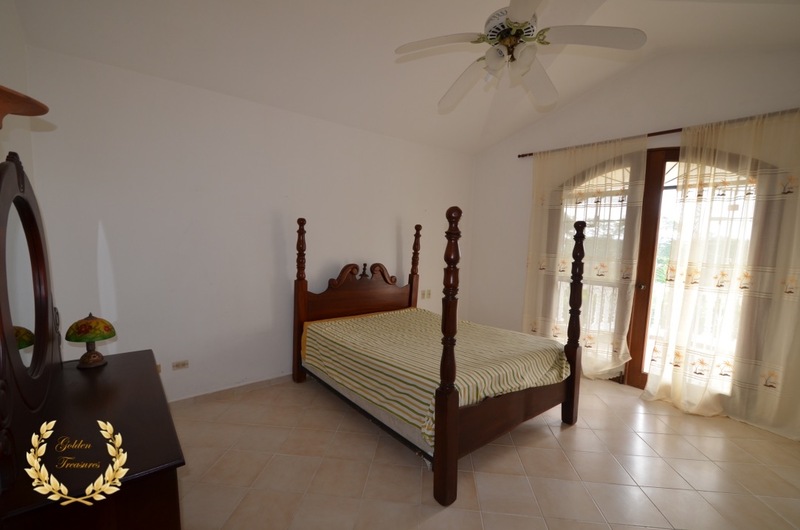 One of the bedrooms is located in the ground floor, which can double as an office room. 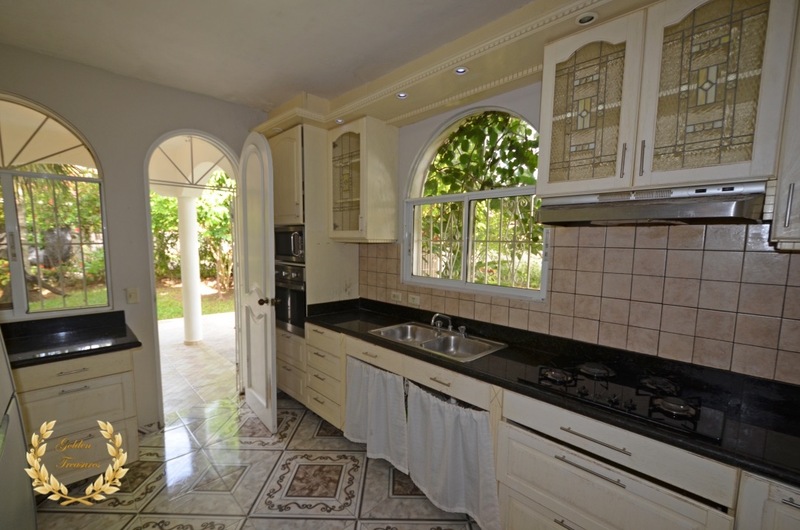 The kitchen has a generous size area, with granite tops, double sinks, and appliances. 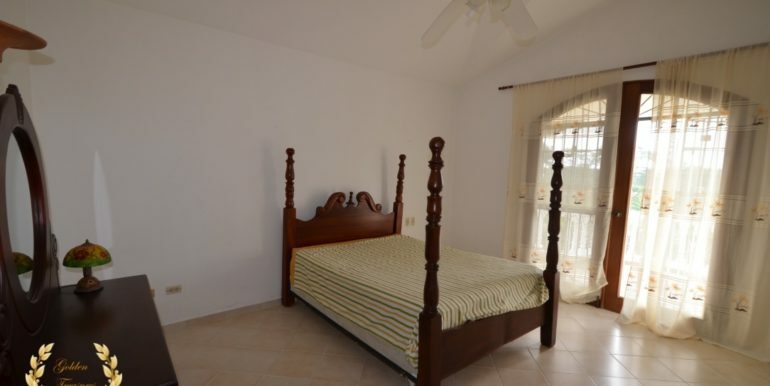 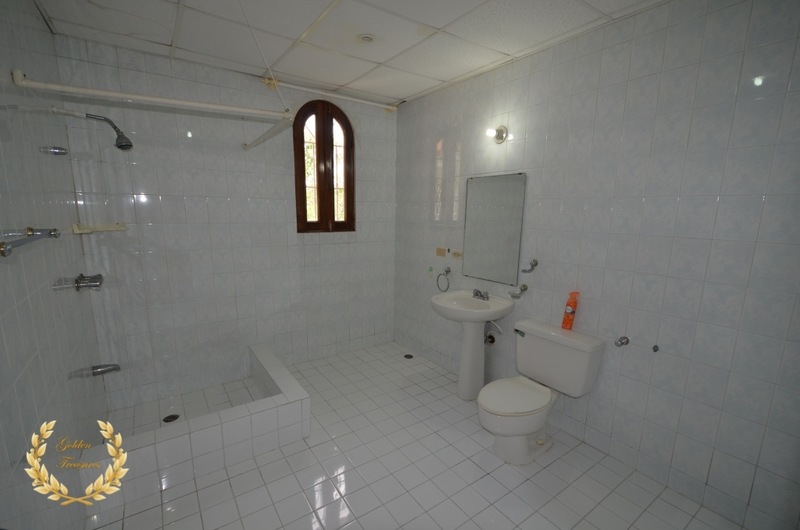 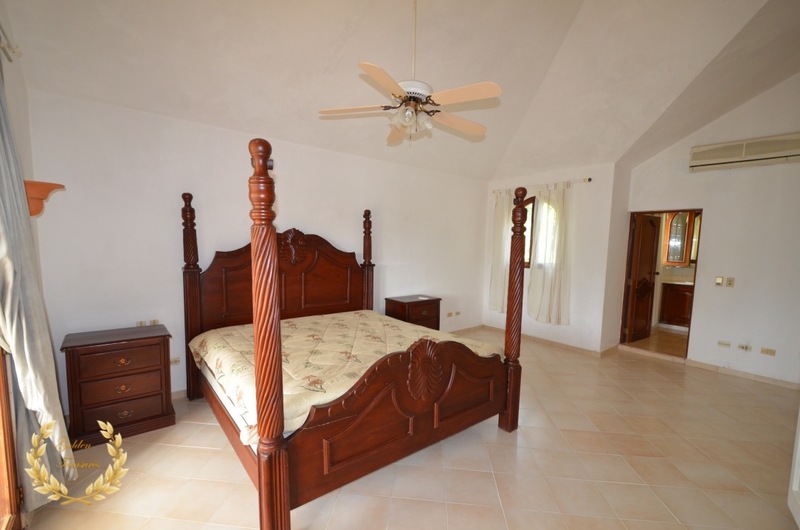 The second floor has 3 bedrooms, including the large master suite with air conditioning, ceiling fan and king size bed. 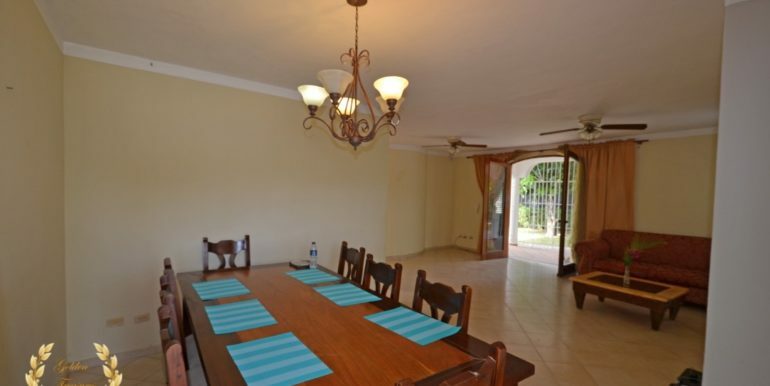 The garden area has enough space for a swimming pool and gazebo, and the property is completely fenced. 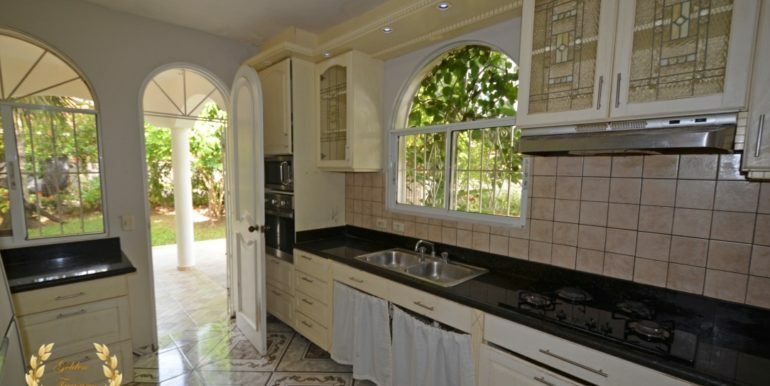 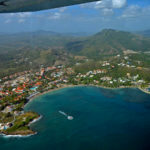 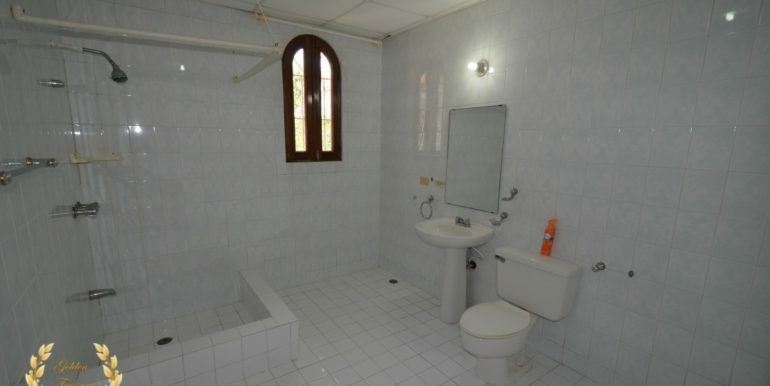 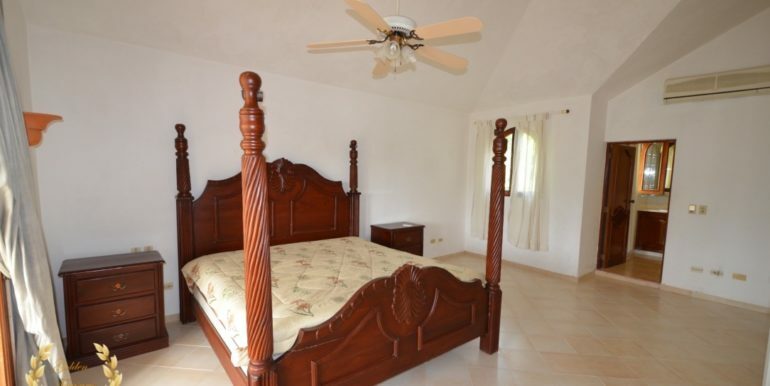 This is a great opportunity to buy a large home with classic design in a good location of El Batey, Sosua. 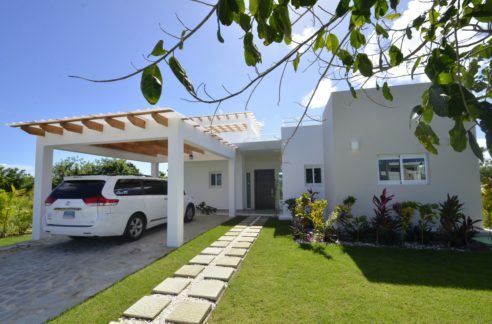 The land size is 804m²= 8654.184ft² and the house is 305m²= 3282.993ft². 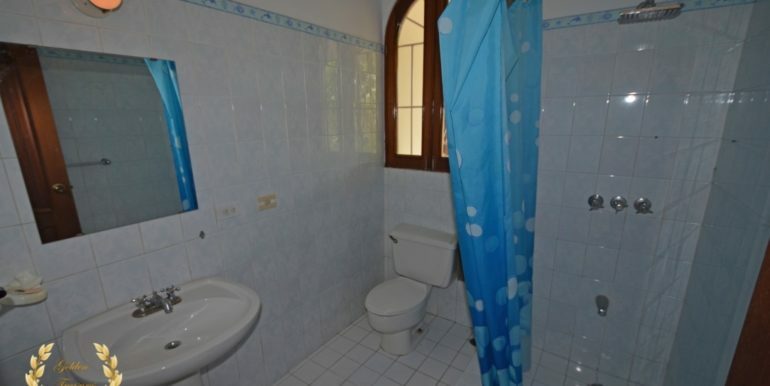 This property is SOLD.